Hannah Hernandez, 13, pulls back on a bow while taking archery lesson with her father Saturday, July 14, 2018, at Estero Llano Grande State Park in Weslaco. The park holds an archery class every Saturday at 9 a.m. during the summer, which is included in the $5 entrance fee. WESLACO — For Joe and Hannah Hernandez, their father and daughter quality time is precious, and spending it together learning archery made it better. 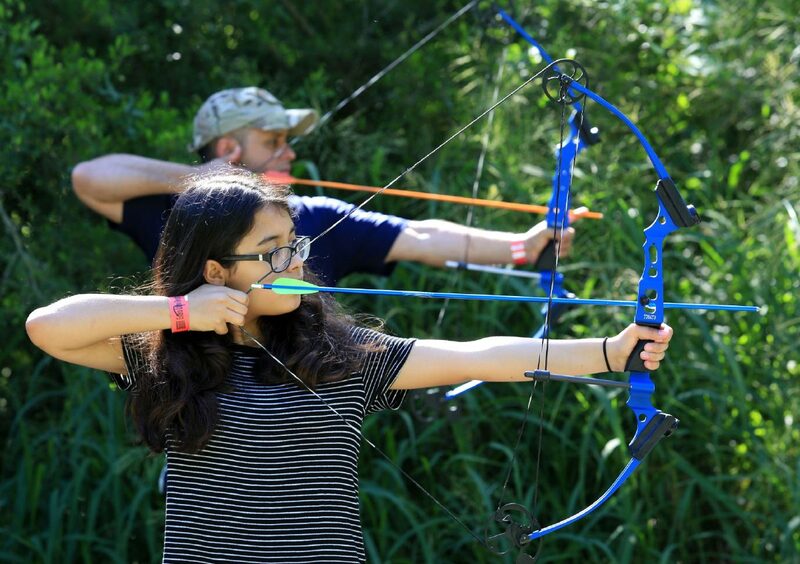 The Weslaco natives were first-time visitors to Estero Llano Grande State Park, which has been hosting a summer archery program for three summers now. The archery range was created three years ago by Lucas Cardenas, a Troop 100 Eagle Scout, who was doing a service project at the park. Estero Llano Grande State Park's Jose Uribe, left, looks over arrows shot into a target by Hannah Hernandez, behind, 13, her father Joe Hernandez watches Saturday, July 14, 2018, in Weslaco. Joe Hernandez reaches for an arrow during an archery class Saturday, July 14, 2018, at Estero Llano Grande State Park in Weslaco. The idea was to provide another amenity to the grounds while Cardenas was working to achieve scouting’s top rank. 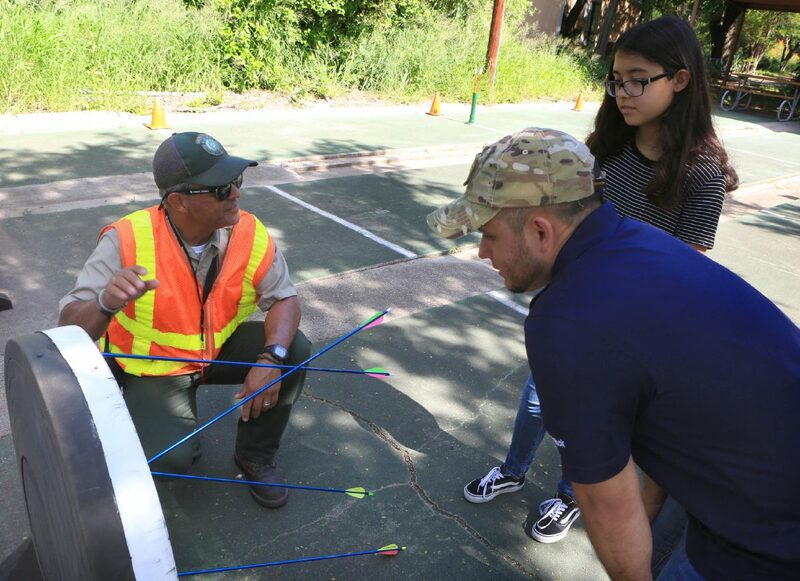 Jose Uribe, lead interpreter and natural resource specialist at Estero Llano Grande, said money for the archery setup was raised by the troop and then donated to the park’s friends group, which is a nonprofit. “He (Cardenas) raised about $5,000 and the equipment itself cost over $3,000, and he raised enough to put the canopy,” Uribe said. The father-daughter pair arrived 15 minutes before the start of the archery event and said it was a perfect bonding experience. “It’s perfect for her to try something different and grow some skill and just have some fun,” the 35-year-old father said. Similar to his daughter’s interest, he was also eager to try archery. As a Valley native, he has seen the popularity of bow hunting in the area. The 13-year-old also added, the sport has been a lot of fun and she enjoys the father-daughter competitions, and with the removal of being indoors and away from technology, doing archery is just focusing on her with the bow and arrow. Joe expressed Hannah does very well in school, and by doing outdoor activities this is like an outlet for her to be relaxed and clear her mind. Despite fighting the summer heat, Uribe said the participants range from adults to young children, mostly families and some college kids. As archery is a precision competitive sport and recreational activity, Uribe begins his sessions with an explanation of the rules. Once a person excels at aiming toward the bullseye, he challenges participants to compete against one another. 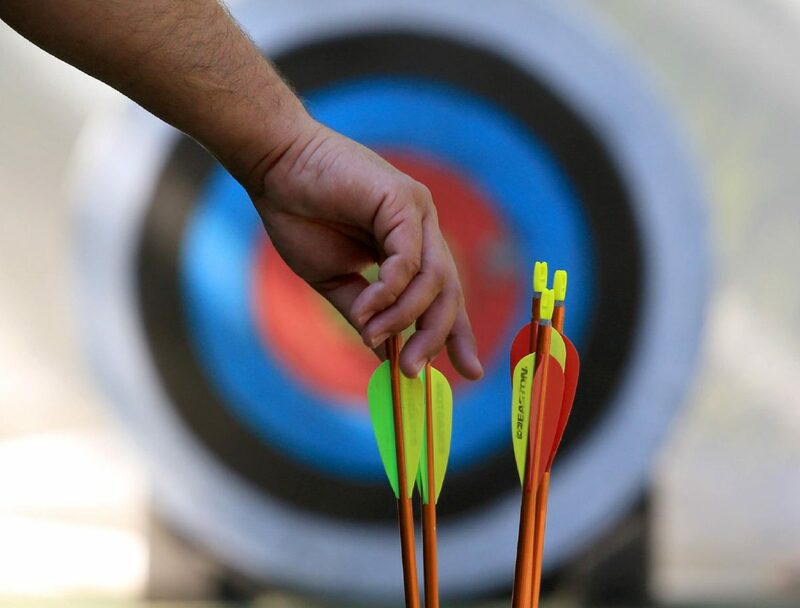 If you plan to attend a session of Archery 101, it is held Saturdays at Estero Llano Grande State Park from 9 a.m. to 11 a.m. The program will be held until September and participants must be 8 years and older. For more information on the archery program, visit their website at www.tpwd.texas.gov/state-parks/estero-llano-grande, or call (956) 565-3919.